Smart Woman! 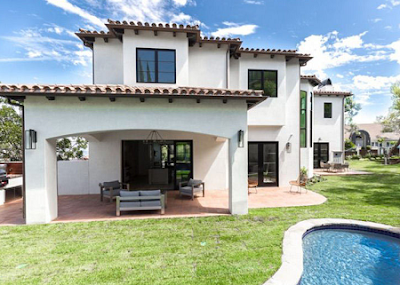 Serena Sells $12m Home To Buy $6.7m New Home & She Probably Will Sell That Again! We now know why Serena Williams is selling her $12 million Bel Air pad -- she's downsizing! The place looks awesome -- with 5 bedrooms, 7 baths, incredible view, dope backyard with a pool -- but still no tennis court. Williams is selling a nearby home she owns for $12 mil. She bought that place a few years back for $6 mil. So, she flips that house -- pockets $6 mil -- and buys a new dope house for half the price and probably in few years again,she sells it twice the price and keep pocketing the profit! Smart woman!